Black Diamond Edition!! GORGEOUS! 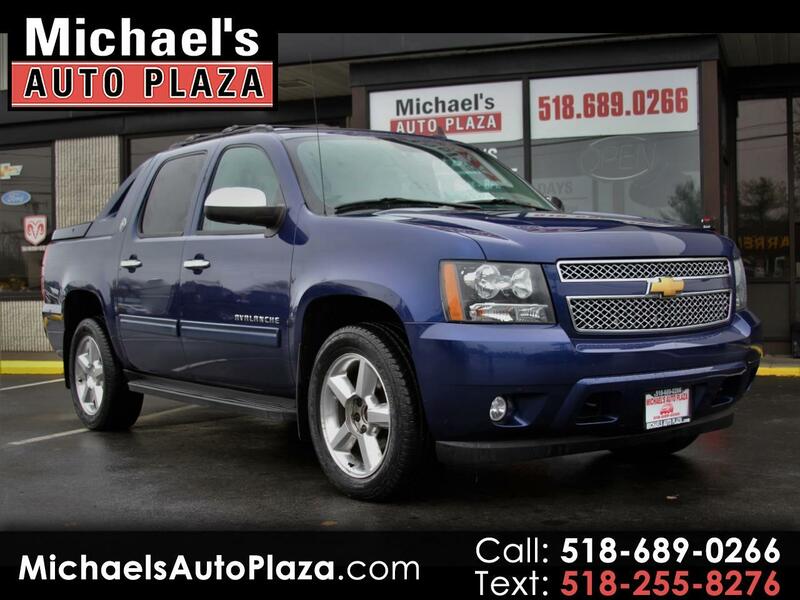 2013 Chevrolet Avalanche LT, One Owner, CLEAN CARFAX, Blue with Black Leather Interior, Backup Camera, Heated Seats, Power Seats, SUNROOF, Remote Starter, Power Steering, Running Boards, Alloy Wheels, Keyless Entry, Rear Window Defroster, Side Curtain Airbags, Airbags, Trailer Hitch, Parking Distance Control, Tonneau Cover, Anti-Lock Brakes, Bluetooth, Premium BOSE Audio, Satellite Radio, Portable Audio Connection, Steering Wheel Controls, Tinted Glass, Adjustable Pedals, Power Windows, Locks & Mirrors. A/C, Cruise Control, Tilt Wheel, CD. WWW.MICHAELSAUTOPLAZA.COM PHONE 518-689-0266 Information deemed reliable, but not guaranteed. Interested parties should confirm all data before relying on it to make a purchase decision. All prices and specifications are subject to change without notice. Prices may not include additional fees such as government fees and taxes, title and registration fees, finance charges, dealer document preparation fees, processing fees, and emission testing and compliance charges.